In this article, you’ll learn what a tempo run is and why they are so important (for any race of 5k+). I will also tell you the proper way to run a tempo,and when during your training schedule you should include these workouts. Finally I’ll provide some examples of proven tempo run workouts. Bottomline, this is the probably one of the most detailed guides to Tempo Runs that you will find and I’m sure it will help you understand why these workouts are so important to help you achieve your goals. At the risk of getting a little too “sciencey,” I’ll do my best to describe tempos. There are multiple types of tempo runs. You may hear them referred to as aerobic threshold (most common), anaerobic threshold or lactate-threshold runs. However, it’s important to note that there are 3 different types of runs that each serve a purpose. Aerobic threshold runs are the most common and run at a pace where you’re producing the maximum amount of lactate that your body can clear from your muscles. If you were to run any faster, you wouldn’t be able to clear the lactate that’s being generated and you would then experience a burning sensation or fatigue in your legs. This is the feeling you get at the end of a short, hard race or during an interval workout. To get the benefit of Aerobic Threshold Tempo Run for marathoners you want to run it just near your lactate threshold and not any faster. The goal of the lactate threshold workouts is to move that point where lactic acid begins to accumulate. We can accomplish this with repeat 2-3 mile intervals, sometimes referred to as cruise intervals. These are completed at a specific target pace (discussed below). Lastly, the anaerobic threshold run is performed at the level of intensity where lactic acid accumulates faster than it can be cleared. Increasing our anaerobic threshold is important because it allows the body to run at faster speeds before fatigue and lactic acid take over. Why Should You Include Tempo Runs in Your Training? Tempo run workouts are essential for long distance runners training for races of 5k+. Depending on the distance and type of tempo, these are the most “race specific” workouts you will complete during your training. However, tempo runs shouldn’t be the only hard workout during your training. Remember, variety is essential to getting in shape (10 rule to marathon success). 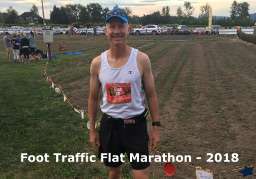 Aerobic Threshold runs for marathoners should teach our bodies how to burn fat efficiently at marathon pace and improve our body’s ability to run longer at this high end aerobic pace. Tempos improve your ability to hold a challenging pace over a longer period of time. However, if we run too fast at what’s a anaerobic threshold pace, we improve the body’s ability to slow lactate, but we don’t improve our body’s marathon specific readiness. The goal for these workouts is to boost our lactate threshold. We do this best by running at or near our threshold pace for an extended period of time, because our body becomes more efficient at clearing lactate. Tempos are usually completed at one assigned pace (as opposed to progressive runs or intervals where you vary the pace). 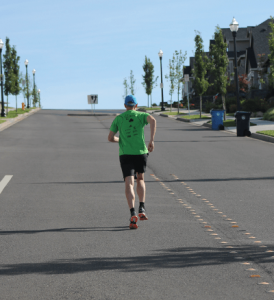 One of the goals of tempo runs is to improve your sense of pacing. The faster you can run while still clearing lactate, the faster you’ll be able to race. However, there’s also a significant mental aspect as well. Tempo runs are challenging, stressful and mentally fatiguing. You need to train yourself to maintain your tempo pace for the duration of the workout. I’ve coached many athletes and some tell me that the hardest part of the tempo (especially longer tempos) is being able to maintain the pace throughout the run. Your mind can wander, you get tired and your pace can slow if you don’t concentrate on maintaining the designated pace. In summary, tempo runs help you run faster for longer periods of time. These runs also they teach your body how to tolerate more discomfort and I believe that they do a great job to help develop your mental toughness. Completing a tempo can be challenging for many runners because they don’t understand the pace and or distance for the workout. I’ll admit, it can be confusing and you may be tempted to run the workout too fast or start too fast and fade. But, it really doesn’t need to be too difficult to determine your pace. The problem comes when runners perform this workout at the wrong pace, because they can greatly compromise its intended training benefits, get injured or worn down. There a few variations to tempo workouts (which I will discuss below), depending on the outcome desired and the timing in your training schedule. The tempo workout is run at a pace that’s faster than “moderate” but not exactly “hard.” Many experienced runners can run them by feel or perceived effort. 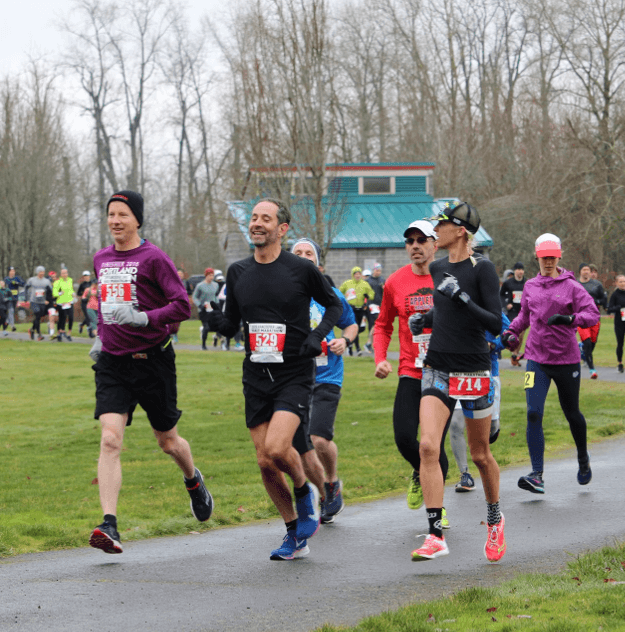 It’s important to understand that your tempo pace at the beginning of the season will likely be slower than at the end due to fitness improvements. Your pace could also vary in weather elements or fatigue levels. This is very important. Instead you need to figure out the pace at which you can no longer comfortably speak a full sentence (try repeating something like the “Pledge of Allegiance”). This is the point that many coaches call “comfortably hard.” It’s a tough effort, but you shouldn’t be gasping for air. 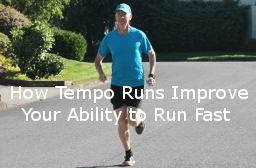 As discussed above, do enough tempo runs correctly and you will see improvement. Depending on the race for which you’re training, tempo pace should be similar to a very recent 1/2 marathon or 10k pace. However, my strongest recommendation is to simply use the “talk test” and run by feel. 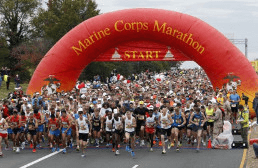 The longest tempos in my marathon training are about 60 – 70 minutes. Another way to run a Tempo is by heart rate. This only works if you know your max heart rate (mine is in the low 170s). After your warm-up, I typically recommend about 80% of max heart rate through the duration of the run. Any faster and you’re actually in an anaerobic zone and you’ll likely won’t be able to maintain the pace for too long. You can learn how to calculate and train by heart rate by reading my article (training using a heart rate monitor). For many runners, using a heart rate monitor can be an easy way to ensure they’re in the right range for the workout. If you don’t have a HR monitor, it’s simply a matter of looking at your watch and monitoring your pace as you move through each mile. If you run your tempos by feel, your pace will eventually quicken. There are generally three types of tempo workouts. (1) sustained tempo runs (20 – 70 minutes at one pace). 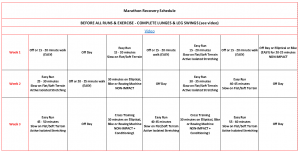 (2) repetitions (repeat 10 – 20 minutes at tempo pace with a short (1-2 minutes) recovery in between each). (3) Tempos that are mixed into intervals or longer runs. As with other two types of tempo workouts, this latter type of tempo is beneficial for increasing the aerobic threshold. It’s important to maintain the assigned pace during the tempo portion of your workout. Legendary coach Jack Daniels also recommends inserting periods of Aerobic Threshold running into long runs. 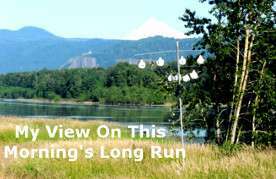 For example, two 20 minute tempo runs that bookend a one hour easy run. 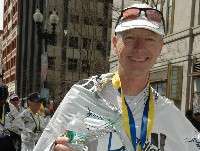 Coach Daniels schedules this run bi-weekly in the latter stages of race preparation. The one real requirement of tempo running is that you stick to a steady, specific, planned pace. If you’re training for a shorter race, tempo runs are best done early in the season during base or foundation training. Tempos completed early in your training will help build endurance that can support race-specific fitness later in your training cycle. For longer races such as a 10km or longer, tempos are best if completed during the mid to late portion of your schedule. 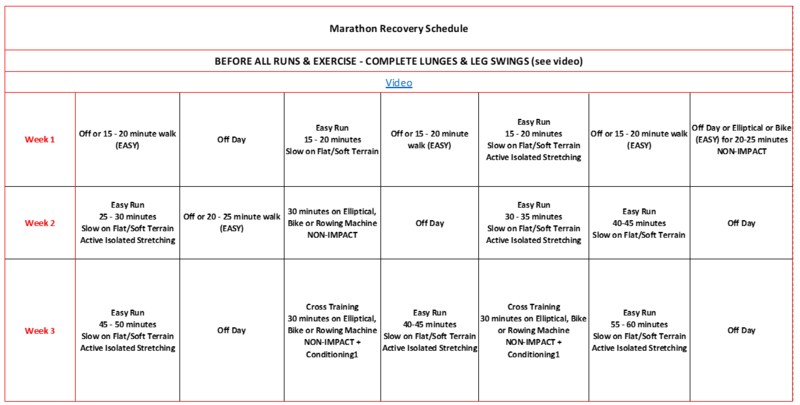 Some coaches have their runners perform two of these workouts every three weeks during a marathon build-up. As the race approaches (but before tapering) the runner can increase the frequency to one tempo effort weekly. 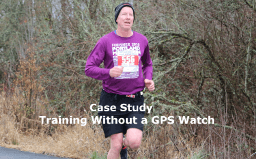 I typically perscribe weekly tempos in weeks 7-11 of a 12 week marathon training plan. I completed this workout when I was training with Coach Greg McMillan. In the past, I’ve had excellent results training under Coach McMillan. This first workout is perfect for 10km or half marathon. You complete multiple tempos, but with some hills between. It’s a tough workout so my recommendation is to insert an additional recovery day before your next hard/long workout. 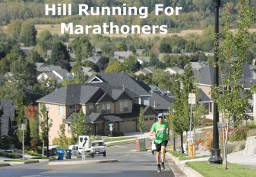 The steep hills between the 3 mile tempos will fill your legs with lactic acid so the second tempo helps to simulate that feeling of tiredness at the end of a race. The key to this session is to try your best to run the second tempo run at the same pace as the first. To make things a little easier, if you’re really struggling, the 2nd Tempo can be shortened to 2 miles. This workout teaches your body & mind to “dig deep” when you’re aching and simply want to stop. Successfully getting through this workout will really boost your confidence. 7. 15 minute cool down at easy pace. Completing this workout will do wonders for your confidence because you must overcome the feeling of lactic acid that builds up in your legs during and after the hill repeats. Completing this workout will help prepare you to not give up when you feel like you can’t keep going. I really like this this Tempo for runners who are fit, but don’t have a race scheduled anytime soon. Your traditional Aerobic Threshold Tempo Run and includes one block of running at tempo pace. Depending on where you are in your training plan will determine the length of the run at tempo pace. 1. Start with a 10-15 minute (or 1 mile) warm-up. 2. Run 20 – 30 minutes but with no break or recovery in the middle of the effort. 3. Each week increase the length of the tempo by 10 minutes until you reach 60 minutes. 4. End each tempo with 10-15 minutes (or at least 1 mile) cool-down. Just like intervals, but will help improve your Lactate Threshold because it’s done at your tempo pace. The recovery is kept to a short 60-90 seconds and the repetitions are generally longer. 2. 3 x mile at tempo pace with 90sec jog recovery. 3. Finish with 10-15 minutes (or at least 1 mile) cool-down. Similar to the sustained or traditional tempo mentioned above except in this run is called a lactate clearance run. Technically it’s a anaerobic threshold run. The way to accomplish this is during your sustained tempo runs insert a 30-60 second surge at about 5k pace every 5-8 minutes. The surge will bring on more lactate into the blood stream. When you slow back into your tempo pace, your body will then have a chance to clear that lactate, even as you maintain tempo pace. It’s a tough workout again, but it will train your body to process lactate more efficiently, which ultimately makes your lactate threshold pace slightly faster. Tempo runs are an excellent way for runners of all levels to work on building their speed and strength. 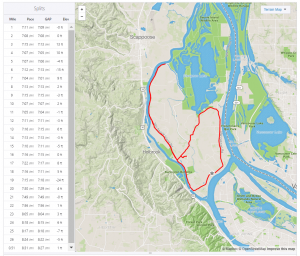 These runs are also helpful for developing the mental toughness and stamina needed for racing, since you practice running at a pace that’s a little outside of your comfort zone. To summarize, each of these types of workouts & their associated paces causes increased effort and physiological difficulty when completed. 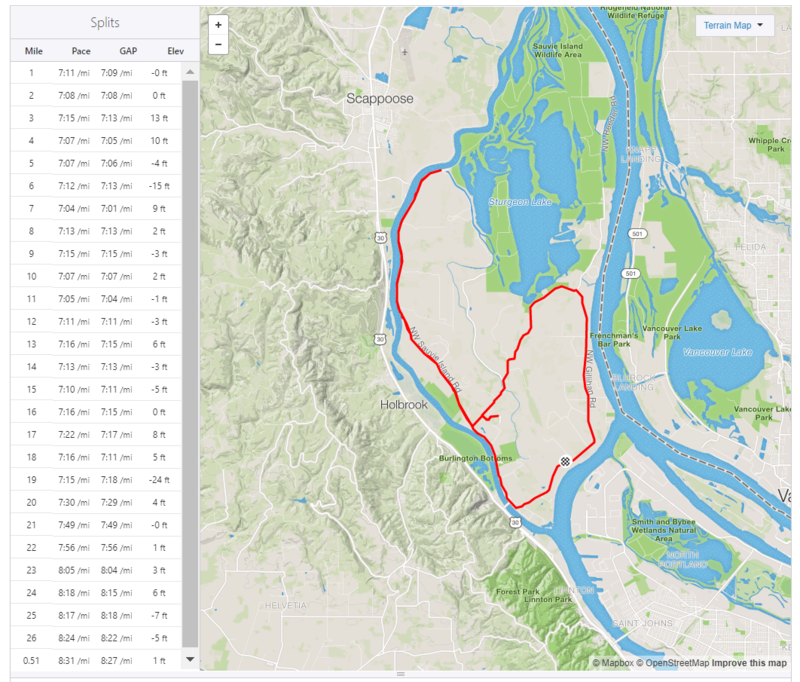 When we successfully run at these paces or training zones, you can ultimately race farther and faster more comfortably.